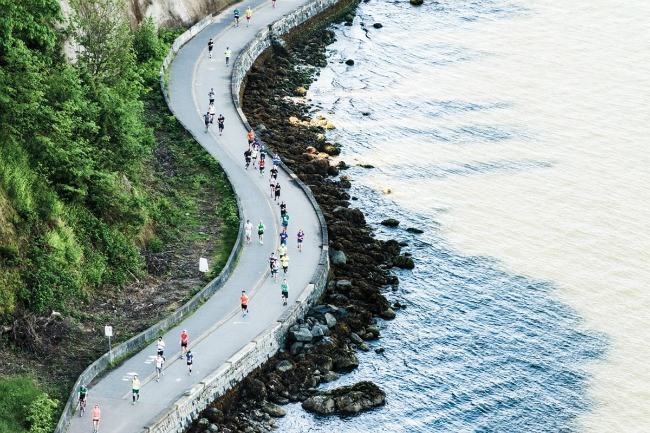 Are you ready for marathon weekend? This year’s BMO marathon is taking place on Sunday, May 7, and there’s a wide range of fun stuff taking place throughout the city from Thursday, May 4 to Saturday, May 6. But you don’t just have to be a participating runner to enjoy the festivities. With an excess of 100,000 people and more than 60 countries taking part in the marathon, you can enjoy all the action from the sidelines and see the very first runner cross the finish line. You might even have the chance to witness an epic on-course wedding, so this is definitely not your average marathon. And to help you find fun if you’re not running, we’ve teamed up with non-profit Vancouver’s International Marathon Society. So, here are some of the exciting ways that you can spend your time during marathon weekend. Visit the Convention Centre West over the course of marathon weekend and check out all of the cool health and fitness demos and products from more than 100 brands being showcased. This includes the ‘fastest feet’ contest where you can compete for daily prizes on a revolutionary dance machine. There are more prizes up for grabs, too. You could win Whitecaps tickets from BMO, Seahawks Training Camp VIP passes, flights to Paris from Air France, and Saucony shoes. You’ll be able to record a video message for runners that they’ll be be able to see on the ‘Giant Cheer Screen’ presented by Saucony. Oh, and there will be free food samples at the expo – lots of them. So you don’t want to miss this. Presented by Chevron, this event invites you to come out and show your support for the community on Sunday, May 7. So round up your troops to create fun costumes and signs for some quality team cheering, and make up your own dance if you feel like it. Participating community groups are eligible to win up to $7,000 in prizing which will be awarded to the best cheer groups in subcategories. All you have to do is pick your cheer spot along the course and inspire the runners. It’s simple. 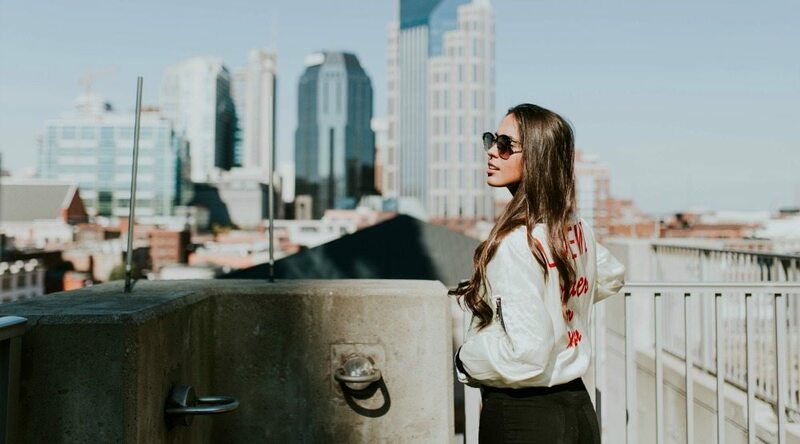 Hit up the street festival on race day this Sunday, May 7, to enjoy tons of entertainment and food trucks. 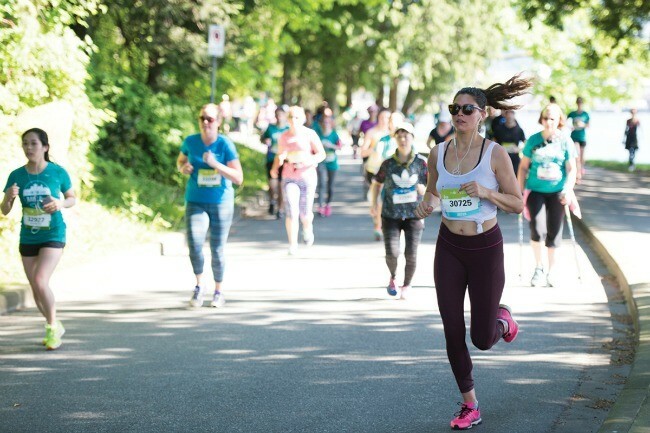 Open to all supporters, spectators, and runners, the festival is taking place from 8:30 am to 2:30 pm on West Hastings between Bute and Burrard. If you’re not running, why not volunteer to help out on race day? The entire race weekend relies on the support of volunteers every year, and there’s normally around 4,000 people helping out. You can this year by helping set up at the start or finish lines, cleaning up, or assisting at the water stations. To make it better, you’ll get the best view of the action in the race, and you’ll help keep the city clean.